Arsenal eyeing Sporting Gijon star Carlos Castro Arsenal have started discussions with Spanish outfit Sporting Gijon for their starlet Carlos Castro, as per Daily Star reports. Arsenal have started discussions with Spanish outfit Sporting Gijon for their starlet Carlos Castro, as per Daily Star reports. The Portuguese paper OJogo also claimed that the Gunners are keeping close tabs on the player and has already sent the officials to discuss the possible summer move. The 19-year-old Spanish star has been compared with the former Barcelona and Spain striker David Villa. He has also been named as the New David Villa and has been rated exceptionally. While, Portuguese side Benfica are also monitoring his situation and are likely to offer him soon to secure his services. 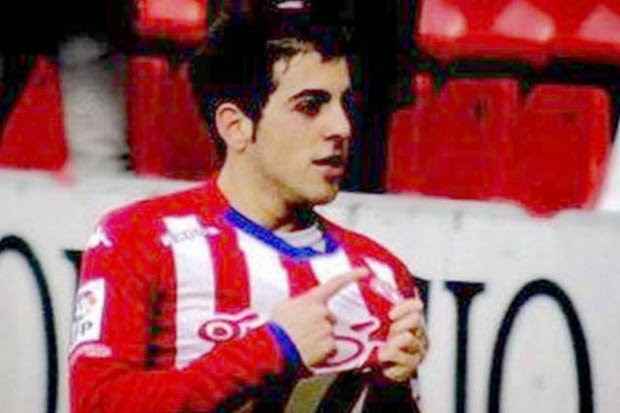 The teenager has scored seven goals in 19 games for Gijon who are unwilling to sell their player. However, a fee around 3 million pounds would be enough to change their mind. Castro has played a game for under 21 level of Spain and is hoping to continue to shine for them. He played a friendly game against Belgium. While on the other hand, reports strongly claimed that Argentinean striker Paulo Dybala is likely to become Arsenal first summer signing. The New Sergio Aguero plays for Serie A side Palermo.